Takes up less space with the same tuning performance. 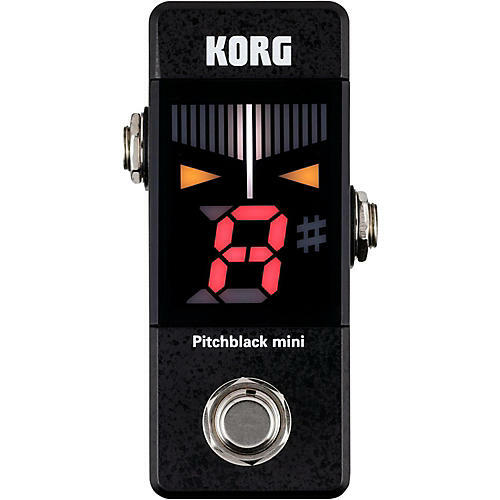 The popular Korg Pitchblack (PB-01) has been miniaturized to take up less space on your pedalboard. The Pitchblack mini features a super bright, high contrast display that is easily visible in any environment. Additional features like three distinct display modes (Meter, Strobe and Half Strobe), anti-tipping stabilizers, True Bypass switching, and ultra-high precision tuning of ±0.1 cent make Pitchblack mini the ultimate choice for players looking for a compact and capable tuner. Tighten up your setup. Order today.